Should agents be held criminally responsible for the consequences of failing to make use of enhancement technologies? This chapter argues that they should, provided such technologies would have allowed them to avoid the risks associated with the state of abnormal agency. The argument comes in three parts. First, the current position with respect to abnormal agents in the criminal law is discussed. As is made clear, we are usually quite willing to hold abnormal agents criminally responsible for their acts, provided certain conditions are met, but traditional capacitarian theories of criminal responsibility fail to account for and justify this willingness. Second, a theory of criminal responsibility – the distributive theory – is presented that does account for and justifies this willingness. And third, this theory is applied specifically to the use of enhancement technologies to avoid states of abnormal agency. The author would like to thank the Irish Research Council for the Humanities and Social Sciences for supporting his research over the period 2007–2010. He would also like to thank Dr. Mary Donnelly for her comments on earlier drafts of this chapter. 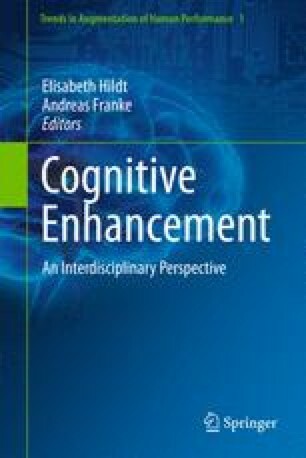 Finally, he would like to thank the organizers and participants at the Cognitive Enhancement Conference for many stimulating discussions on the subject of cognitive enhancement.